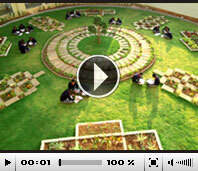 Hyderabad Institute of Excellence is a 120 Acre Campus, which is ideal for educational and residential environment. HIE opens up a new world of opportunities where young boys have the opportunity to enhance their abilities, thereby improving their quality of life. The modern academic and residential buildings are meticulously planned to offer uncompromised education in a world class environment, in a serene location. The phase 1 at Hyderabad Institute of Excellence would constitute Educational programmes designed for Boys from classes 7th to 12th, who have already demonstrated their potential to excel. The theme of leadership and its development is integrated, both in its Academic and Social activities. For the inaugural Academic year, HIE has successfully admitted 120 students in MPC & BiPC streams of First Year Intermediate, in 2013 -2014. For the academic year 2014 - 2015, we are offered admissions to Intermediate first year in MPC, BiPC,MEC & CEC (For Boys only). We have commenced our HIE Middle School under CBSE in the year 2014-2015, and admitting boys in Grades 7th & 8th. This is a 6 year residential integrated programme with 30 students each, in 7th & 8th grades. To ensure adherence of Student Centric Approach and highest educational standards, dedicated committees have been constituted, to look into the day to day activities of the institution. Our State of the Art Class rooms, science Labs & Computer Classes, ensure enhanced learning experience and relate to practical application in real life. To support learning beyond the classroom, we ensure all round development of the children. The Arts and Culture Department provides an after-school co-curricular programme which focuses on Creativity, Opportunity and Development.